When did you start writing, creating and composing music? Music Hands launched in November 2014 thanks to an award we recived from Arts Council Engalnd. We are grateful to them for helping us promote music technology education among key stage 2 and 3 pupils. Pupils have given us some feedback. Please let me share with you our findings! 90% perceived an improvement in ther muscial undertasnding. This is hugely positive, rewarding and encouraging. 73% were inspired after trying iPad music to learn an instrument. Our findings show that contrary to the idea of learning music with an iPad, children and young people are encouraged to play, write and experience music. 60% had never written or composed music before. Many children only encounter composition at Level 4 and 5 of their educational journey. When one considers that 42% of pupils questioned receive instrumental lessons, it’s clear to see that a well rounded approach to learning has been missed or delayed. 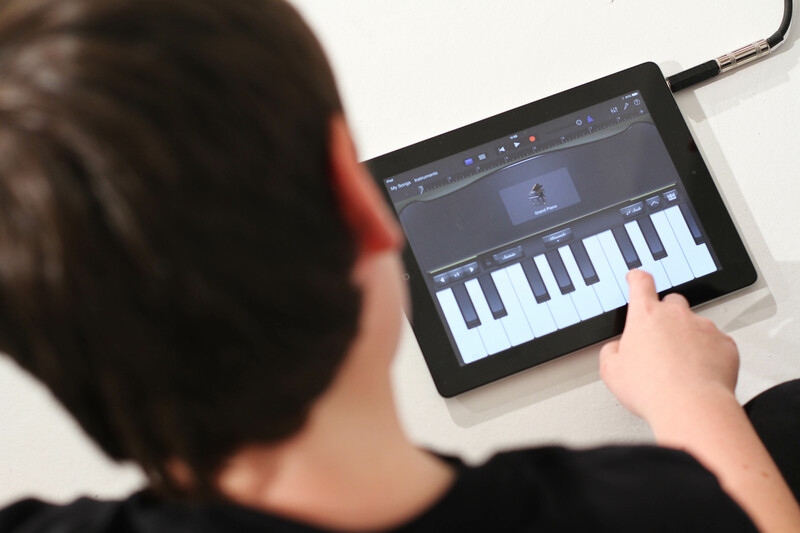 We see the iPad as a way to encourage young musicians to explore a multifaceted approach to learning. Were currently developing resources to equip teachers and musicians to engage with the intuitive learning style of the iPad. “Thanks for reading my first Music Hands blog post. I look forward to collating the data from season 2. In closing here’s a question. How long did you recieve lessons on an instruement before you explored songwriting?